Home › Iranian Politics › Hassan Rouhani › Is The Key To US-Iran Ties In America’s Hands? Is The Key To US-Iran Ties In America’s Hands? Since the nuclear deal was finalized this summer, the Iran-US relationship has become only more complicated and fraught with tension, rather than the other way around. Iran is not only reinterpreting the nuclear deal, but also acting in a hostile way towards the United States – by “opportunistically” incarcerating US citizens, by giving free reign to anti-US rhetoric, and most recently, by blaming the US for the Paris terror attacks – while at the same time heralding the start of a new era of warm, or at least warmer, diplomatic relations. Now, it would seem that things are becoming even more complicated, with Iran issuing videos blaming the US for the Paris attacks on the one hand, and demanding apologies from it from the other. 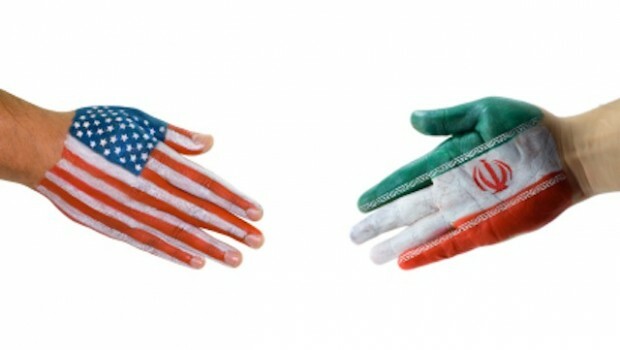 Just last week, Iranian President Hassan Rouhani was quoted saying the nuclear deal was not enough turn over a new leaf in Iranian-American relations – rather, the US must “apologize to the Iranian people” for all the “errors” it has committed in the past 37 years. Wait a minute. Hasn’t Washington already apologized? In the Google and YouTube era, Rouhani (and the media) should have no problem looking up footage from 2000 of former US secretary of state Madeleine Albright publicly apologizing for 1953’s Operation Ajax, in which the Eisenhower administration orchestrated a coup against Iran’s then-prime minister, Mohammed Moussadeq, as well as for Washington’s subsequent support for the Shah’s repressive regime and its “short-sighted” policy towards Iraq in the 1990s. Thus, fifteen years ago – before the nuclear deal, before sanctions relief, before business and diplomatic opportunities presented themselves – Washington publicly announced it would “bear its fair share of responsibility” for “the problems that have arisen in US-Iranian relations.” And yet, this has not prevented Rouhani from claiming the ball is now in America’s court: “One day these embassies will re-open but what counts is behavior and the Americans hold the key to this,” he told an Italian newspaper. In the Reuters report on Rouhani’s remarks, a background paragraph served as a pertinent – albeit brief – reminder of the circumstances in which Iran and the US “severed ties”: “Shortly after the 1979 Islamic revolution when radical students seized the US embassy in Tehran and held 52 Americans hostage for over a year.” With that in mind, we’re surprised the media isn’t more openly incredulous that Iran is demanding (more) apologies from America.